Indonesia, known as the mecca of the scuba diving world, contains the largest diverse ecosystem in the world. Comprised of 5 big islands, one of them being Sulawesi island where Una-una is one of the highlights. Una-una is centred on a small volcanic Island in Palau and has an abundance of fish and coral due to non-existent destructive fishing activities, as the locals main economic income is coconut plantations. The Island is one of the most pristine island locations, where it heightens the contrast between the mundane and the sublime. Here, you will get the best diving experience in the entire Togean Islands. 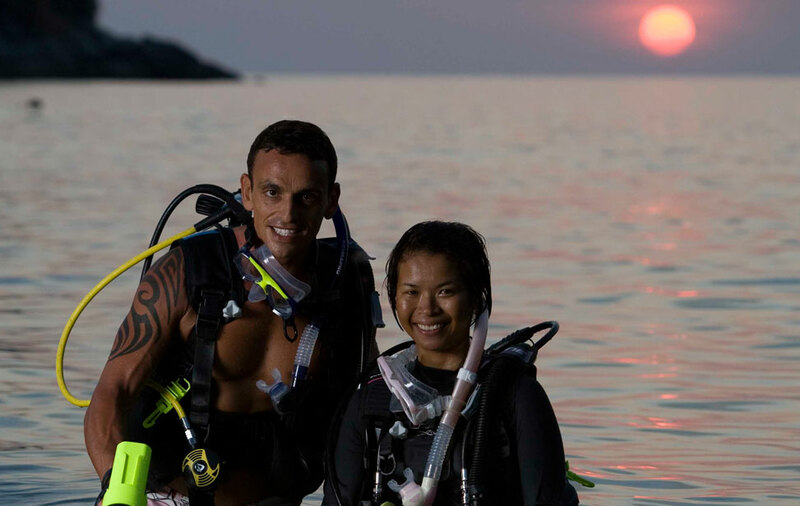 If you like beautiful, easy diving with warm & clear waters(29-30 degrees) Una-Una is the place for you. With over 1,000 reef fish species and huge, healthy corals, from huge schools of fish to rays, turtles and even bigger stuff, such as big yellowfin tunas, sharks, dolphins & whales. Not even to mention the 300+ schooling barracudas right in front of the resort!! With more than 30 dive sites such as, slopes, walls, healthy reefs, pinnacles, muck diving, night diving & deep diving, all just 5-10 minutes away by boat. Where Apollo & Hong Kong sites are more to the South. One of the best dive sites, Jam, is just in front of Sanctum, featuring an amazing tornado of barracudas with white and black tip reef sharks that often scuttle by. 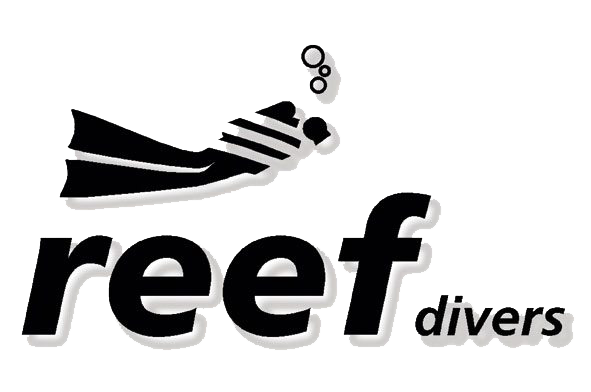 Also there are muck dive sites such as Ihana & Valtimo, with huge painted frogfish, seahorses, leaf scorpion fish, pipefish and mandarin fish, which are all common sightings. Our 7 night accommodation in Una-Una will be deluxe bungalow rooms with en suite-bathrooms. Each bungalow has a fan, hammock, clean towels, clean bedding, picturesque ocean views and the only island in the Togians with hot water. The food is salivating especially after a long day of diving. The cuisine is Indonesian with a Western hint to it. It is exceptionally healthy, with vegetables being their core ingredient. For dessert, freshly baked cakes straight out of the oven await you. 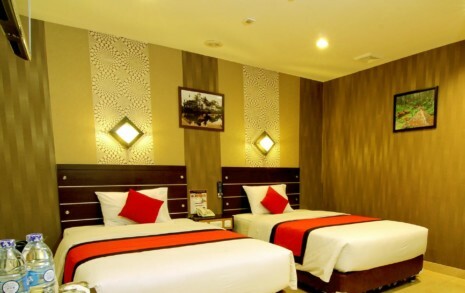 2 night Hotel accommodation in central Jakarta. Facilities include:Air-Conditioning, Marble floors, drying board, hot showers with shower equipment En suite bathroom, Imported shower gel, shampoo and toothbrush kits. Electric Kettle, Fresh Clean Towels – 24hr room service/concierge. Free Wi-Fi throughout hotel premises. Including continental buffet “breakfast for 2 person”. NOTE: Prices are subject to currency fluctuations.